grandma's cookie jar: FREE Printable for Valentine's Day! download! Just yesterday on my way to taking Josiah to school, we were talking about what Valentine's Day is. I told him it was a special day to tell the people we love, that we love them! 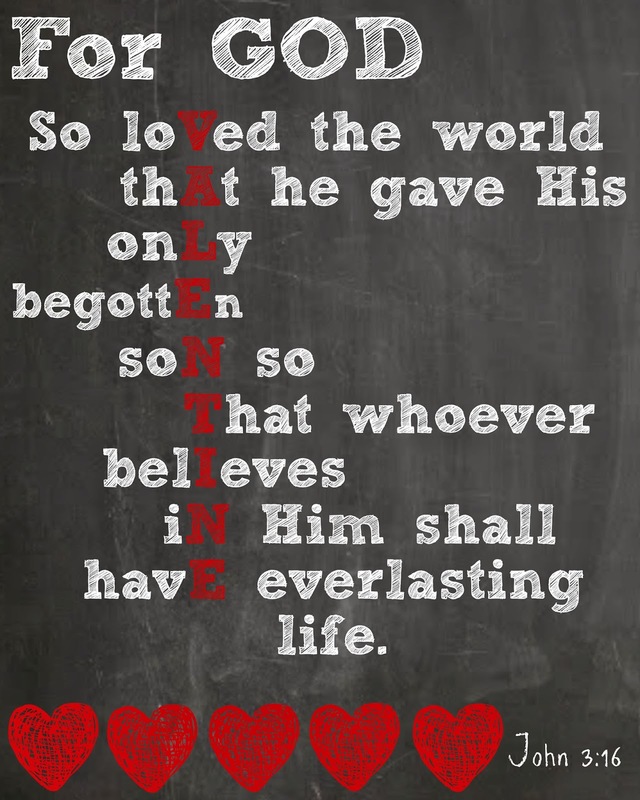 We started talking about the best "love" gifts ever and agreed God gave the VERY BEST Gift EVER when He gave us Jesus! We also agreed God's next best gifts to us EVER, were our family. I said the boys, Shane and their parents, Aunt Tiffy, Poppa and great grandpa and grandma were some of God's best gifts EVER and I was so thankful for all of them! So, when I saw this free printable, (you'll find it at this link) it reminded me of my conversation with the boys and I knew I wanted to share it with you! Jesus truly is the Best Gift EVER and this printable reminds me of the best Love Gift: Jesus! I will either print these out or since I have some chalkboard paint, I might try and find some red chalk (I have white chalk), get some sturdy cardboard and make some of these to give to the volunteers on my "team" at church . . . along with a few chocolate hearts! What might you do with this printable?